The two offices zocdoc don't link so I took the day off to go to my appointment that was booked inthe central office and the central office never booked the appointment in the office that I was supposed to go to! Horrible service. Very unprofessional. The two offices zocdoc don't link so I took the day off to go to my appointment that was booked in the central office and the central office never booked theappointment in the office that I was supposed to go to! Horrible service. Very unprofessional. Dr. Sorkin and I had a great conversation about my health history and current symptoms/treatment. This all happened in anoffice - NOT while laying half dressed on the table. I so appreciate this. He was also more thorough in his procedures than I have experienced at other practices for the same annual visit. On a side note, the woman whom Dr. Sorkin shares his space with saw me seated in the office and popped in to introduce herself and offer me a glass of water. Very friendly office. Dr. Sorkin and I had a great conversation about my health history and current symptoms/treatment. This all happened in an office - NOT while laying half dressed on the table. Iso appreciate this. He was also more thorough in his procedures than I have experienced at other practices for the same annual visit. On a side note, the woman whom Dr. Sorkin shares his space with saw me seated in the office and popped in to introduce herself and offer me a glass of water. Very friendly office. Dr. Leonid Sorkin, board certified by the American Board of Obstetrics & Gynecology, is the founder of Dr. Sorkin’s Center For Women’s health in Brooklyn, New York and in Forest Hills, Queens. 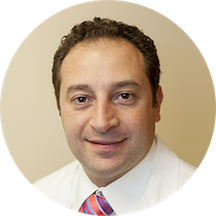 Dr. Sorkin completed his Obstetrics and Gynecology Residency at Stamford Health Systems in Stamford Connecticut. He is a graduate of the Sackler School of medicine and has a Bachelor of Science degree from Columbia University. Dr. Sorkin is a member of American College of Obstetricians and Gynecologists; American Medical Association; Society of Laparoendoscopic Surgeons, and the New York Medical Society. Dr. Sorkin is a board certified obstetrician and gynecologist. Dr. Sorkin performs over 150 deliveries a year. His expertise is in both low and high risk pregnancies. He performs the full spectrum of gynecologic services which involves physical exams, well visits, pap smears, cultures, and biopsies. Dr Sorkin also performs specialized procedures including colposcopy, endometrial biopsy, and complete range of gynecologic surgeries. Dr. Sorkin treats infertility and does reproductive counseling. Dr. Sorkin is fluent in English, Russian and Hebrew. In addition Dr. Sorkin performs Bone Density Scans for osteoporosis, urodynamics for bladder dysfunction, and fetal monitoring to assess fetal wellbeing. This past year Dr. Sorkin began 4-D ultrasound imaging which allows for actual realistic views of the baby. I found this doctor on ZocDoc and in hindsight, I think he must have paid to be promoted on the site because my experience with him was so appalling that I can't imagine anyone actually giving him a positive review. Iwent in for my annual well women visit and I mentioned that I had been plagued with several yeast infections over the course of the preceding year - I asked what I could do to better avoid these since they can be annoying. He ran a slew of blood tests that weren't covered by my insurance company and that, when I ran a quick Google search, I learned included several hormone screenings that were not appropriate for my age group. The doctor had me schedule a follow-up to discuss the results of the tests - his office cancelled my appointment by leaving me a voicemail at the last minute without an explanation. I never received my test results and I was unable to get his receptionist on the phone to reschedule the follow-up in the upcoming weeks. Also, I might mention that his NYC "office" is actually a kidney center and while waiting to see him I sat in a crowded waiting room full of elderly people discussing kidney problems and nurses/receptionists collecting seemingly endless urine samples. The whole thing was very strange, but with his excellent bedside manner I wasn't ready to formulate a negative opinion quite yet. Then I received the bill from his office...between his office and the lab, my insurance company was billed well over and above anything I've ever seen before. Mind you, I was a healthy 27 year old seeing this doctor for my annual well woman visit. I immediately picked up the phone to call me insurance company, discovering that they denied coverage on the entire bill. First of all, the doctor had sent my lab tests out to a small local lab which is out of network for most major insurance companies. Second, somehow when he is practicing in Brooklyn he is in-network and when he is practicing in Manhattan he is out-of-network. You might think that maybe I hadn't done my homework before I made my appointment, but I did. I found him on my insurance co.'s website, called to make the appointment at the office in Brooklyn, and was offered to see him in his Manhattan location by his secretary who assured me that it would make no difference to the insurance co. Third, when I was at the office, I told the receptionist and the doctor to make sure to bill the visit as my annual well woman visit - the doctor told me that they usually try to bill it as a sick visit because it is beneficial to the patient (I'm not an expert, but I'm pretty sure this is insurance fraud). Anyway they did not bill it through as a well woman visit. I followed up with the receptionist at his Brooklyn office - someone finally answered the phone there, luckily. After listening to my story, she told me that my insurance company was trying to scam me and that I needed to stand up to them. I called back the insurance company and the agent offered to get on the phone with me and the receptionist to talk through what was going on...it turned into an all out argument between the insurance co agent and the doctor's receptionist. Eventually I had to end the call because I had to go to work - I never received further communication from the doctor's office, including the results of the tests he performed. I ended up going in to see a different OB GYN since I couldn't get my test results from this guy. Two well women visits in the span of a few months is no fun. This guy is a total crook and doesn't care about his patients at all - please take my advice and don't go to him. He's always wonderful, attentive, and professional. He was very nice man thorough with the consultation. He will be my doctor from now on. It was worth the trip to the city!